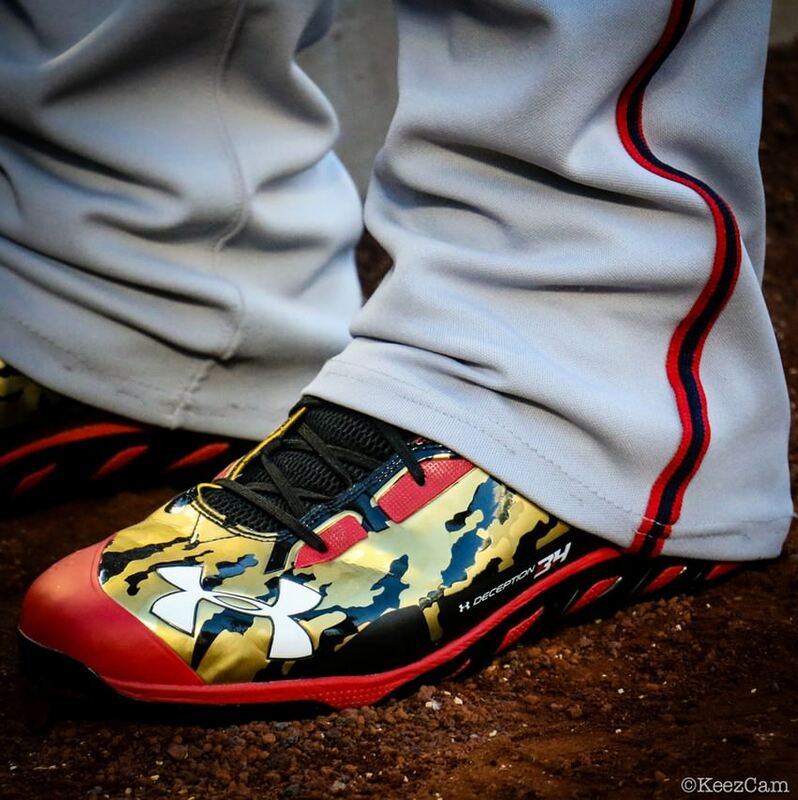 Bryce has been known to jump in and out of shoes on a day-to-day basis but the latest of his hybrid burners is the Under Armour Deception with a Spine sole which you can see. 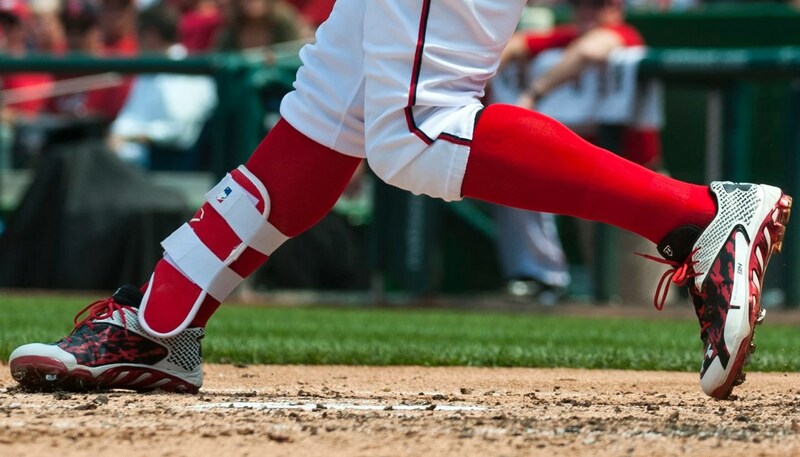 They have metal fronts/plastic backs, Bryce’s very own configuration we have not seen on any other player. 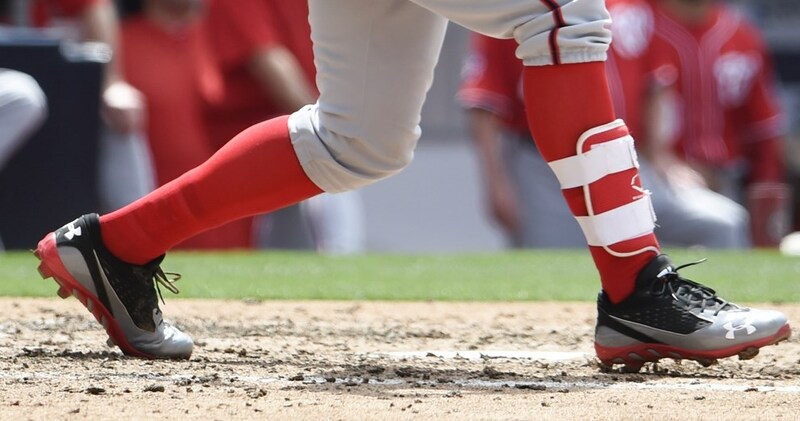 His previous cleats, the UA Spine Highlight, had the same arrangement (and sole). 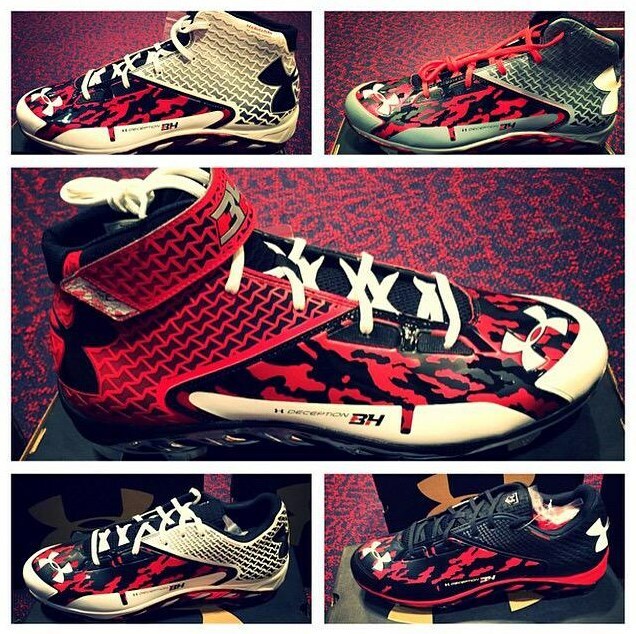 As for the new ones’ availability, Under Armour took Bryce’s hybrid concept and switched it up, making each individual cleat plastic with metal tips instead of Bryce’s front metal/back plastic configuration.